When we dine out with our kids, people take notice. Not because Nicole, 11, and Thomas, 8 are disruptive. But heads turn and mouths drop when our daughter orders foie gras or a juicy steak, and when our son asks for raw oysters. The golden arches are not part of our family outings, and junk food is not our way of keeping our children quiet. We don’t want to silence them with chicken finders or hot dogs; we want to awe them and develop their palates. Okay. okay. So my wife and I are chefs, meaning we live and breathe food. But anyone can change the way their children approach mealtime, simply by making eating an adventure. You can start by teaching youngsters where food really comes from. Take them to a real farm instead of a drive-through window. Let them taste a freshly picked apple, or pet the goat whose milk makes that wonderful cheese. Find a demonstration of butter-churning. Or let them make butter at home. You can also excite kids by telling them about the foods and customs of other cultures so the next visit to an Italian, Indian, Chinese, or Japanese restaurant is more meaningful. Talk about the decor and the dishes. Make them experts with chopsticks. Explain why some spicy food is popular in countries with hot weather. Another easy step: cook with them. When kids not only know what’s on their plate, but had a hand in making it, they are more interested and more inclined to try it. Nicole and I cook up many an adventurous meal together these days, but we got started with approachable foods like our favorite Rosemary Potato Bread (recipe below). We all have finicky eaters in our households, so we tend to tread food as something tha won’t make them nervous instead of something that will intrigue them. It’s easy to confuse comfort with blandness. So if you want to wean the kids off the flavor-free bandwagon, ease them out of their comfort zones and into something truly wonderful. You’ll all be happier for it. 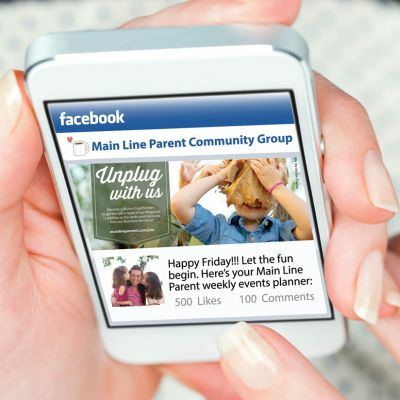 This article was published in Main Line Parent Magazine – Issue 3. Photos above by Silvina B. Photography. 1. Pierce and bake the potatoes at 350 degrees for about one hour or until a fork enters easily. 2. With a fork, smash the warm potatoes into a mash. 3. In a mixing bow, combine the flour, salt, pepper, and rosemary. 4. Bloom the yearst in the warm water according to the package directions. 5. Add the potatoes and bloomed yeast to the flour mixture and stir the dough for a few minutes until well combined. 6. Add the olive oil slowly as you continue to mix the dough. 8. Roll the dough into 2 oz rolls. Leave in a slightly warm area and allow the dough to proof until the rolls double in size. 9. Dust rolls with flour and bake at 375 degrees for 20 minutes. Patrick Feury is the owner and executive chef at Nectar in Berwyn, where he focuses on Asian-inspired dishes backed by sustainable, local ingredients. Learn more about his dishes at tastenectar.com.